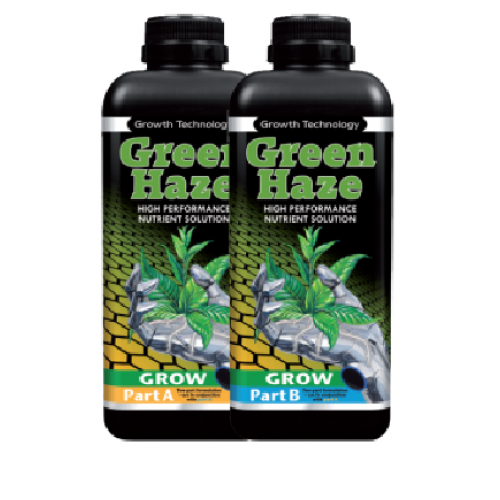 The twin pack 2-part nutrient Green Haze Grow has a wealth of benefits for your growing plants. With the A and B bottle, you only need to mix the desired amounts and add to your plants watering process. 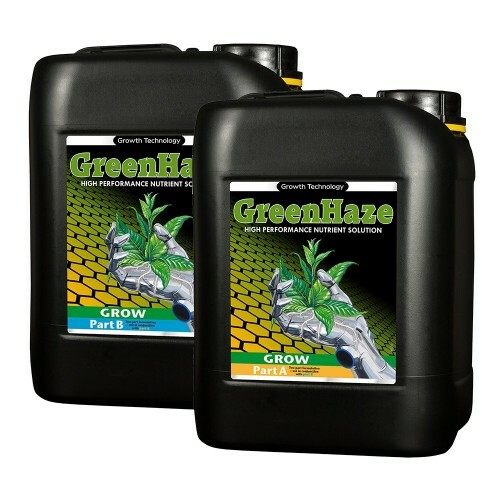 No matter whether your water is hard or soft, Green Haze Grow will see to it that your plants flourish like never before. But, as it is with twin pack mixing, you need to check your pH balance regularly, and you can do this with the Horticare pH Meter, which is sold separately. Best used for the vegetative growth phase of a plants life, this super solution produces strong and healthy plants, and in addition, you will see an increase in the growth speed almost immediately. The roots receive a particularly good boost from the Green Haze Grow, which will in turn stimulate a rich and vigorous growing pattern. Hydroponic systems work well with the Grow Haze Nutrient range and we suggest you begin with the Grow Haze Grow twin pack and move on to the Grow Haze Bloom, once you have passed the growth or vegetative phase. The flowering or blooming phase needs much assistance, especially when the water type is abnormal.